Much has changed since we opened our first small single bay shop in 2006. 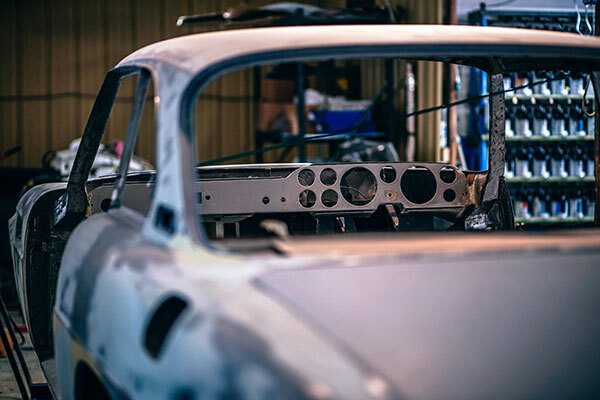 With a goal of providing our customers with top notch collision and auto body repair services, we’ve grown and expanded. Our NE Philadelphia location is easily accessible from the main city highways. We are very proud of the quality craftsmanship we deliver to every customer we service. Our business is an I-CAR Class facility. It is the highest certification an auto body repair business can earn in the industry. To maintain this rating, we devote funds and training hours annually to stay on top of new advancements in technologies that contribute to manufacture and repair of today’s vehicles. We consider our commitment to training very seriously. The I-CAR symbol is one way to determine that a collision repair facility is committed to providing the training necessary to keep its team up-to-date on the most current vehicle technology and repair procedures. GM automotive technical certificates with a foundation of electronics, mechanics, and both analytical and technical knowlege. PPG is one of the only companies that can supply any type of coating needed for a vehicle body. We hold PPG certificates and guarantee our work. We take our responsibility for the environment seriously. At Mike’s we use quality car care and automotive refinishing products from industry leading manufacturers. Representing the 3rd generation advancement of the innovative, waterborne technology that PPG first introduced in 1999, Envirobase® High Performance basecoat offers a premium-quality solution for collision centers that can benefit from a simple, easy-to-use system offering maximum throughput with globally-accepted OEM approvals. AutoSmart takes continued steps to reduce environmental impact. These products and manufacturing processes comply to all current legislation and are certified to ISO 14001. We specialize in collision repair & auto body services.